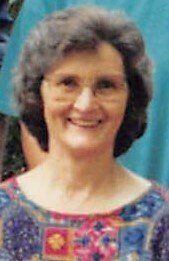 Marvarine Wright age 80, of Broken Bow, Oklahoma, went to be with her Lord and Savior on Friday, March 22, 2019. Marvarine was born on February 7, 1939 the daughter of Bufford and Eugenia Pennington. Marvarine loved working with flowers and playing the piano each Sunday at the nursing home. She loved her family and enjoyed spending time with them and her dog Cupcake. Marvarine was preceded in death by her husband, Gerald Wright; parents, Bufford and Eugenia Pennington; brothers Bufford and Thurman Pennington; and a great-grandchild Winter Hertz. Marvarine leaves to cherish her memory her children, Teresa Ebert and husband Anthony of Broken Bow, Oklahoma, Kay Dandridge of Idabel, Oklahoma, Kevin Wright of Broken Bow, Oklahoma, and Susan Willie and husband DeWayne of Texarkana, Texas; grandchildren, Brad Kennedy, Kasie Robberson, Jerrod Bonds, Brittney Bonds, Michael Schoolcraft, Amber Hertz, Kelsie Wright, Shelby Wright, Hunter Wright; and eleven great-grandchildren. A visitation for family and friends will be held on Tuesday, March 26, 2019 from 6:00 to 8:00 P.M.at Bunch-Singleton Funeral Home Chapel of Broken Bow, Oklahoma. A Celebration of Life will be held on Wednesday, March 27, 2019 at 2:00 P.M. at the First Baptist Church in Broken Bow, Oklahoma with Bro. Mike Durham officiating and speaker Steve Daniel.